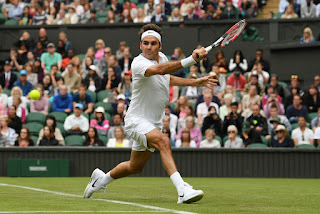 Roger Federer was well short of his best as the seven-time Wimbledon champion advanced to the second round with a 7-6(5), 7-6(3), 6-3 victory over Argentina's Guido Pella on Monday. Federer never faced a break point against Pella, who is now 0-4 in tour-level grass-court matches. 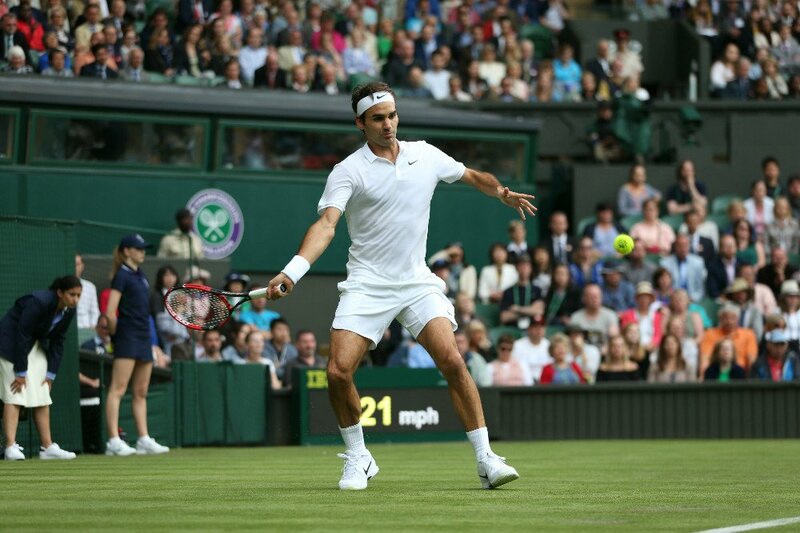 But Federer also struggled to break the left-hander, going one for nine on break points. Finally, at 4-3 in the third set, the third seed broke Pella and served out the set at love. He has been plagued by injury problems this year and the world number three lacked rhythm and confidence in his opening match at this year's grass-court Grand Slam. "I was telling myself how nice it was to be back at Centre Court. I've worked so hard since February to be ready for Wimbledon," Federer said. "It was a fun match, it was close, maybe exactly what I needed. We'll see if I'm fully fit as I go further in the tournament, nobody knows, not even me. But I’m just happy to be here." The World No. 3 will look to continue his march to history. Federer, who has lost to Novak Djokovic in the past two Wimbledon finals, is trying to become the first man to win eight Wimbledon crowns. The 34 year old also now has 303 Grand Slam wins, putting him three wins away from tying Martina Navratilova for the most Grand Slam wins. Federer would become the oldest man to triumph at the All England Club in the Open era and the oldest Grand Slam champion since Ken Rosewall in 1972 if he lifts the trophy in two weeks time. Federer's win sets up a dream second-round matchup for Brit qualifier Marcus Willis, No. 772 in the ATP Rankings. Willis had to go through pre-qualifying at Wimbledon and has had to cancel teaching lessons to continue playing at the Grand Slam. "I think it's one of the best stories in a long time in our sport," Federer said. "This is the kind of stories we need in our sport." "I'm really excited to play against him. It's not something that I get to do very often. It's a huge moment for him, his story his unbelievable. He was playing club tennis I heard. I'm looking forward to that." 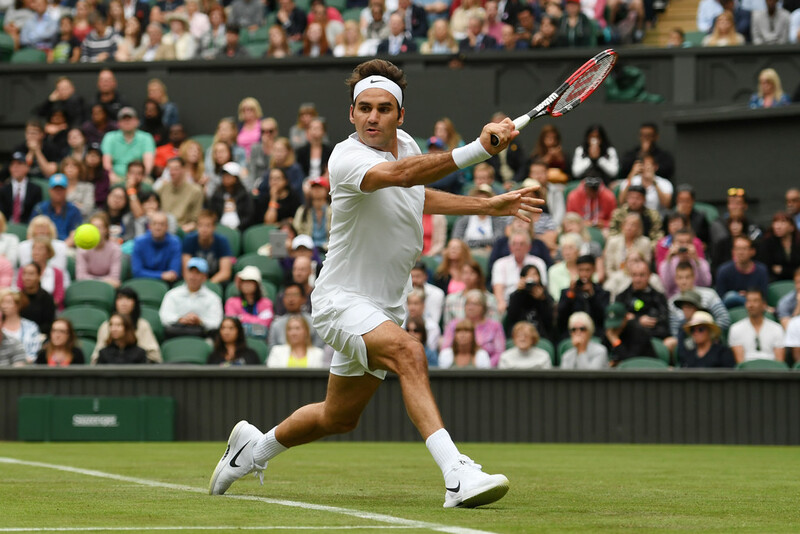 The second-round match will be a rare first for Federer, who has played more than 1,300 tour-level matches and is making his 18th consecutive appearance at Wimbledon. The 88-time titlist has faced up-and-coming players or players with very low ATP Rankings, but never before has he faced someone who still teaches tennis to kids and adults on the side for £30 an hour. "This match is different. It's picked up on momentum. People will hear about it. People will know about it. Naturally they're going to support him. Rightfully so, because I think it's a very cool story myself. It's going to make the match difficult," Federer said. "I saw him play today. He plays well. It's not like he couldn't play. Otherwise he wouldn't be where he is. It's going to be interesting. Plus he is serve and volleying, which I love to see. He came up with some great, great shots. To beat a guy of Berankis' caliber in straight sets shows you how tough he is." Federer, who has served and volleyed a bit in his day, also delivered a scouting report on Willis. "A little bit more old school, using the slice, chipping the returns. Dangerous off the back. Saw some nice touch at the net,” Federer said. "First couple of days, it's tricky to play anybody here at Wimbledon. I think his game is perfectly suited for these kind of conditions right now." Federer, who's playing in only his seventh tournament of the season because of injuries, has said he has few expectations for this Wimbledon. He, like Willis, will be hoping for a great atmosphere and a good match in the second round. "If he gets more support, that's awesome. If I get more support, that's nice," Federer said. "I hope he can play as good as he can and that I also can play a good match and everybody enjoys themselves." Futuresportsacademies is great and expert in the tennis in singapore. Here are possibilities for the tennis lessons singapore, tennis mentor singapore, tennis foundation singapore, kids tennis lessons and tennis singapore.